Whomp whomp. There're no Monsters for sale. 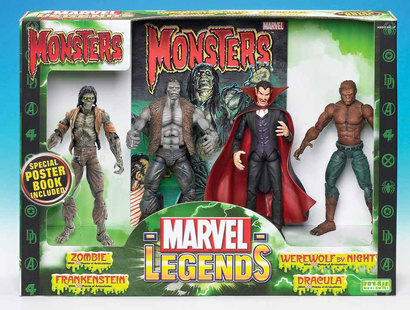 This boxed set avoids superheroes altogether and instead draws infamous characters from titles that Marvel Comics once published in the horror genre, such as Tomb of Dracula, Monster Unleashed and Tales of the Zombie.